Throughout the Brothers’ book the criticisms of Ellington are relentless, portraying him as a kind of musical shyster, even referring to him ‘a failed tunesmith’. Ellington’s main collaborator was Billy Strayhorn who entered the Ellington orbit in 1939. The Strayhorn-Ellington relationship is both complex and mutually beneficial. Ellington provided Strayhorn with financial security and an orchestra that would feature his work. and throughout their lives Ellington acknowledged Strayhorn’s contribution repeatedly. 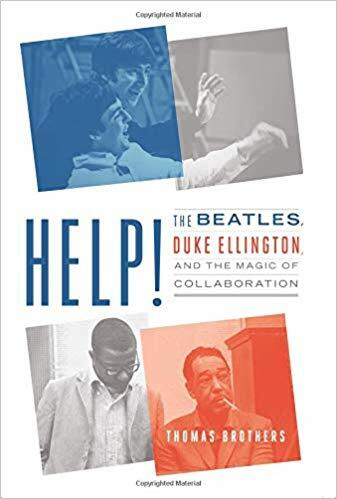 Ellington wrote: ‘Billy Strayhorn was my right arm, my left arm, all the eyes in the back of my head, my brain waves in his head, and his in mine.’ Strayhorn for a time worked on his own but his efforts attracted little attention. Ellington was completely unlike any other composer. He felt it was a necessary part of his musical life to be surrounded by his orchestra so that he could hear his compositions as soon as he had written them. The collaboration between Ellington and the musicians who were with him for long periods is probably unparalleled in musical history. Instead of celebrating all that, Brothers seems to imply that Ellington was guilty of musical theft on a grand scale. After Strayhorn’s death, a period not dealt with by Brothers, Ellington produced: The Latin American Suite, The Togo Brava suite, The Goutelas Suite, The Degas Suite, The River, The New Orleans Suite and numerous single pieces like the wonderful La Plus Belle Africaine.. Ellington’s writing style in those pieces was rather like his piano playing hard edged. Undoubtedly, it is an interesting wheeze to compare Ellington and the Beatles. As a marketing concept it has much to recommend it but as an intellectual proposition it is incoherent. Creativity works in mysterious ways. Lennon and McCartney gained from each other. The acidity of Lennon was balanced by the popular sentimentality of McCartney. The Beatles existed from 1960 to 1970. Ellington as a creative force worked from 1924 to 1974. All that time he lead an orchestra of virtuosi touring across the world.